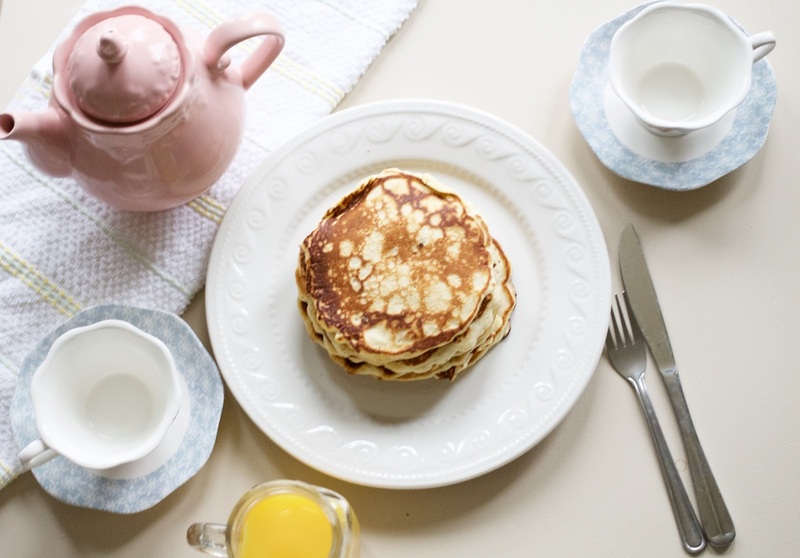 For today’s Sunday post, I’ve decided to share my famous American pancake recipe, anyone who I’ve invited to stay at my house, or have visited me of a morning, will know that I will post probably turn into a domestic goddess and whip up a delicious batch of American style pancakes! Although it’s January and most of us are on a major health kick, I personally only think it’s right to have a little treat, especially of a Sunday – There’s nothing better than starting off your Sunday, than with a bit of sugar! This recipe is so quick and easy, and of course delicious! 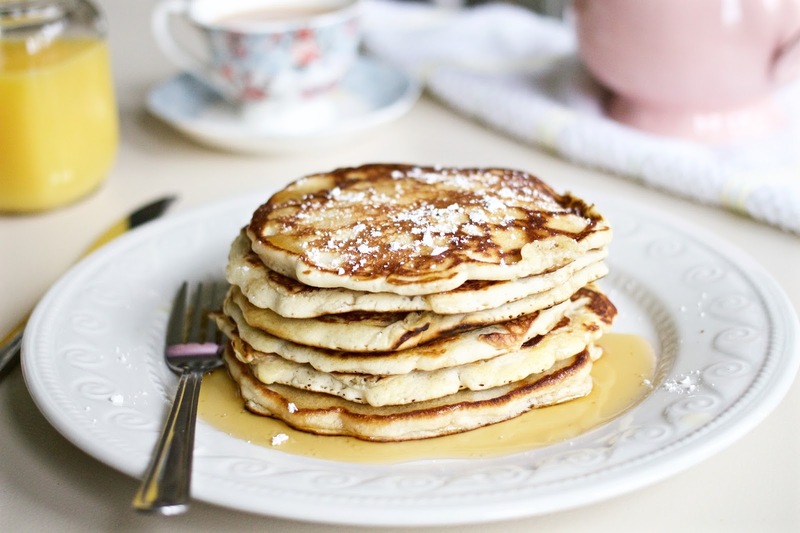 The thing I love about pancakes, is that its basically having desert for breakfast! 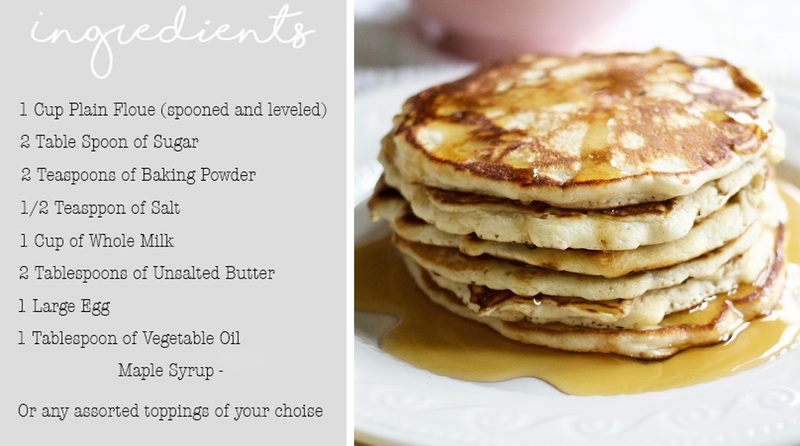 Even if you wanted to still have a somewhat healthy element to these pancakes, you could switch the syrup for honey and fresh yoghurt and add a some berries and bananas and you’ve still got your fruit kick, as well as your sugar kick! 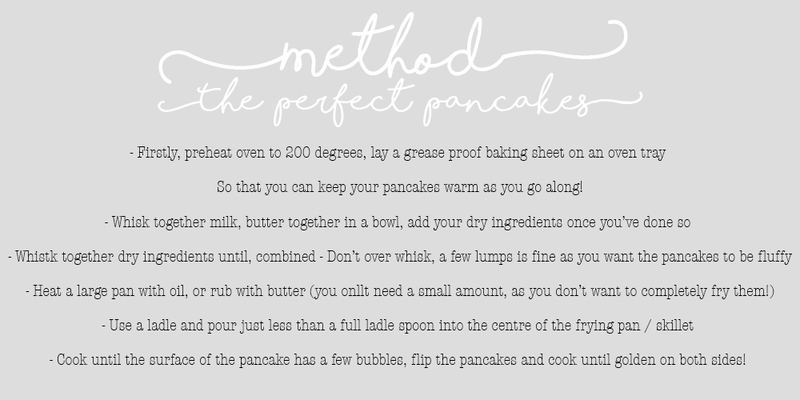 I hope you enjoyed this really simple pancake recipe! The secret is revealed!